Right now Firefox is one of the most popular browsers available. This tutorial is the part of our Firefox browser tweaks articles and here we explain the steps to disable images on Firefox browser. The same procedure can be followed if you are facing issues with viewing images on it. Steps to disable and enable photos on Firefox can vary depends on the different version running on your computer. If you are using a slower Internet connection and do not want to use the precious bandwidth to load unnecessary pictures on a web page, you can prevent the browser from loading them. Another scenario is where you are not seeing any pictures on web pages loading. There is a chance of accidental blocking of pictures. Follow the instructions below if you are having trouble loading Images on it. 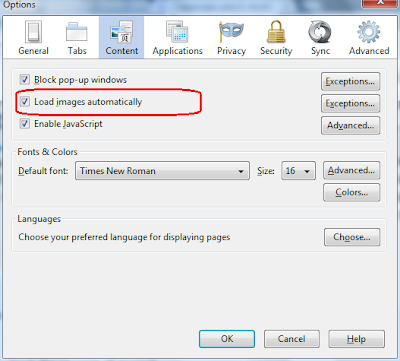 After refreshing the page, you will not face any issues with loading pictures from the Internet on the browser window. These steps are for the latest versions and it is not uncommon many users still don't update browsers to the latest versions. After the starting of fast releasing of newer versions by Mozilla team, many users disabled the auto-update feature on their browser due to various reasons. I too did it for a long time because of the lack of product support from some of my favorite toolbar manufactures. 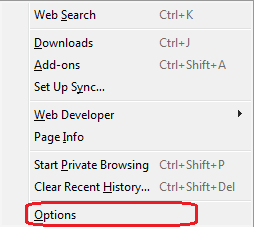 If you have an older version of Firefox installed on your computer, follow the steps provided below. To disable pictures on older Mozilla browser versions, follow the steps below. In "Permissions on the images" uncheck "Accept all images" to block all pictures from the Internet. As I said before if you are looking for a procedure to display pictures (if they are blocked), you may reverse the steps. To enable pictures, check the "Accept all images" box.